Expedia has some excellent Cabauw packages waiting for you. Bundling your accommodations and airfares is one of the easiest ways to save cash on your upcoming trip. Gain savings up to 40,450 YEN* by booking a package deal on Expedia. With more than 400 partner airlines and 321,000 properties worldwide, our extensive database can help get you where you need to be. You can alter your travel reservations with us because we don't charge cancellation fees for almost all of our reservations. We have all the latest sightseeing tips for your trip to Cabauw. Grab your travel organizer and get ready to start padding out your itinerary. Whether you're looking to de-stress with a few drinks or try out some jaw-dropping activities, Expedia will help you. All you have to do is turn up! When it comes to accommodations in the center of Cabauw, it doesn't pay to be choosy. That said, there are 2 properties in the neighboring areas. With Expedia, organizing luxury getaways and cheap vacations is simple. Need help to find a soft bed to snuggle up in at night? Our top suggestions are the Montfoort (Hoogstraat 29) and the Tulip Inn Meerkerk (Energieweg 116). Let's face it, nobody gets excited about hanging out at the airport. However, if you start envisioning the wonderful trip to Cabauw that's just ahead of you, you should be all right. After all, you'll be only 25 miles (40 km) north of the neighborhood center when you shuffle off the plane at Schiphol Airport (AMS). 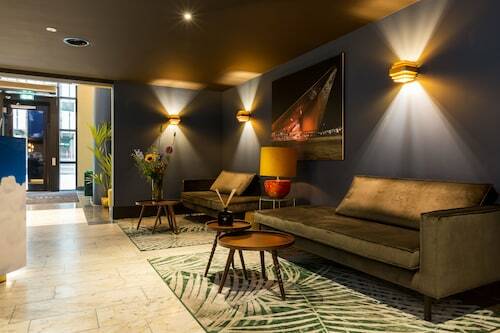 Located in the heart of Utrecht, this eco-friendly hotel is within a 10-minute walk of Beatrix Theater and TivoliVredenburg. Jaarbeurs and Hoog Catharijne are also within 10 minutes. Utrecht Central Station is 10 minutes by foot. 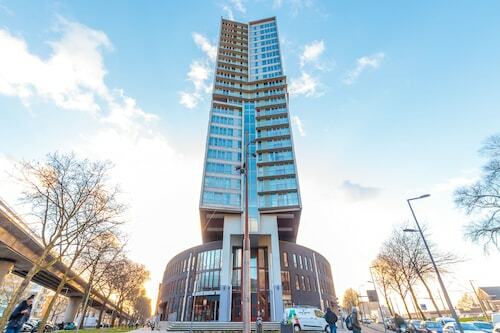 Located in the heart of Rotterdam, this luxury hotel is within a 10-minute walk of Rotterdam Walk of Fame and Erasmus Bridge. Luxor Theater and SS Rotterdam are also within 2 mi (3 km). Rotterdam Blaak Station is 14 minutes by foot and Rotterdam Central Station is 21 minutes. 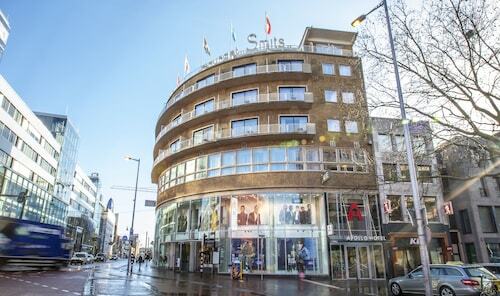 Located in the heart of Rotterdam, this hotel is within 1 mi (2 km) of Beurstraverse, Erasmus Bridge, and Luxor Theater. SS Rotterdam and De Kuip Stadium are also within 3 mi (5 km). Rotterdam Central Station is 10 minutes by foot and Rotterdam Blaak Station is 12 minutes. Located in the heart of Rotterdam, this hotel is within 1 mi (2 km) of Holland Casino Rotterdam and Erasmus Bridge. Luxor Theater and SS Rotterdam are also within 3 mi (5 km). Rotterdam Central Station is 5 minutes by foot and Rotterdam Blaak Station is 16 minutes. 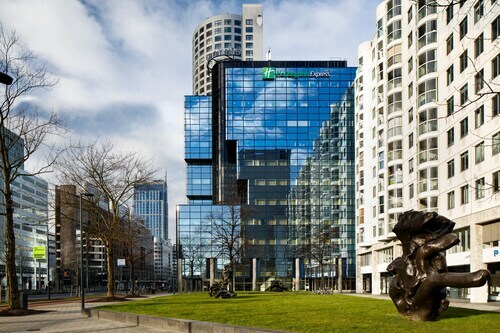 Situated in Rotterdam, this hotel is within 1 mi (2 km) of Zuidplein Shopping Centre, Ahoy Rotterdam, and Luxor Theater. Erasmus Bridge and SS Rotterdam are also within 2 mi (3 km). Rotterdam, Maashaven is only a 2-minute walk and Rotterdam Zuid Station is 19 minutes. 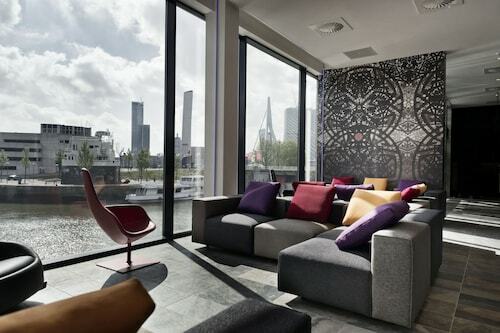 This central Rotterdam hotel is on the banks of the river Maas, at the foot of the Erasmus Bridge. The Kunsthal and Boijmans Van Beuningen Museum are 0.7 km from the hotel; Euromast is 1.4 km away. This family-friendly Rotterdam hotel is located near the airport, within a 15-minute walk of Erasmus University and Arboretum Trompenburg. Erasmus Bridge and De Kuip Stadium are also within 3 mi (5 km). Rotterdam Zuid Station is 29 minutes by foot. 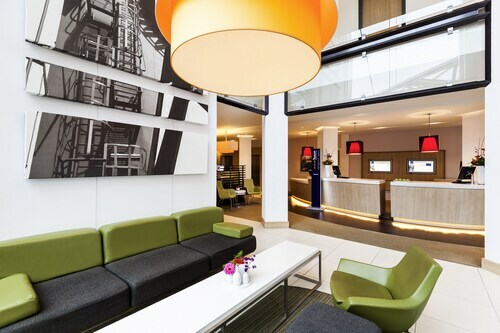 Located in Utrecht City Center, this eco-friendly hotel is steps from Oudegracht and TivoliVredenburg. Beatrix Theater is 0.6 mi (1 km) away. Utrecht Central Station is 8 minutes by foot and Utrecht Zuilen Station is 30 minutes.